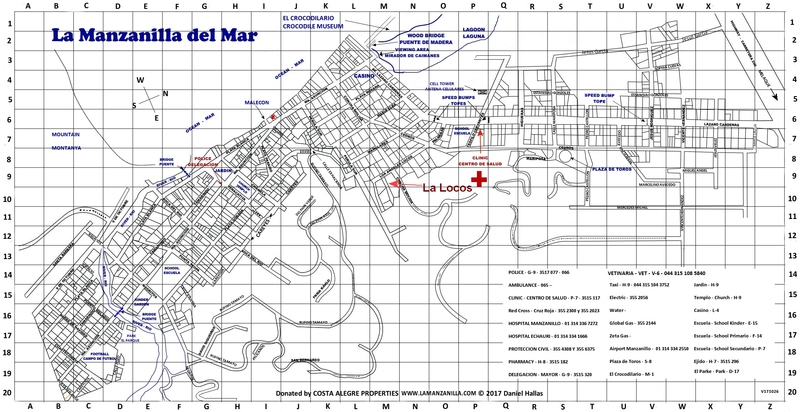 Combining Casa Liz and Casita Los Angles Locos results in a 4,561 square foot 2-story home on a large (900 square meters) corner lot (M-9 on the map). On the 2nd-level main residence,your open-floor plan kitchen and spacious living room open to a veranda with wrap around views of jungle, ocean, & sunsets. Your spacious master bedroom with walk-in closet overlooks natural greenery & an impressive rock wall creating a haven of natural tranquility. The veranda doubles as an overhang sheltering the patio & outdoor kitchen shared by 3 private bedrooms below. These extra rooms with baths can be accessed from the main house or directly from the street or 2-car garage, assuring personal guests or renters a pleasant visit. The landscaping includes fountains, statues, lawns, flagstone terraces, & a swimming pool. At the far corner of this property (complete with its own parking & entrance) is a delightfully bright & cheerful 2-story casita with bedroom, complete kitchen & living room. Traditionally a popular long-term rental, this also would make a very desirable mother-in-law or caretaker quarters. 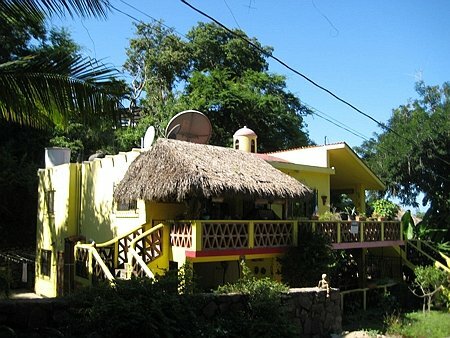 This hillside home Well maintained with love & pride of ownership and close enough to walk to town or the beach. 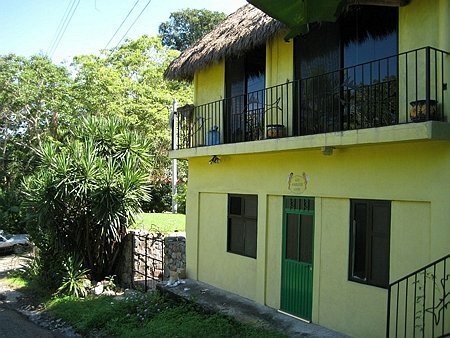 List price $ 299,000 usd.